In 2010, we embarked on an investigation of indoor air quality and ventilation in retail stores. 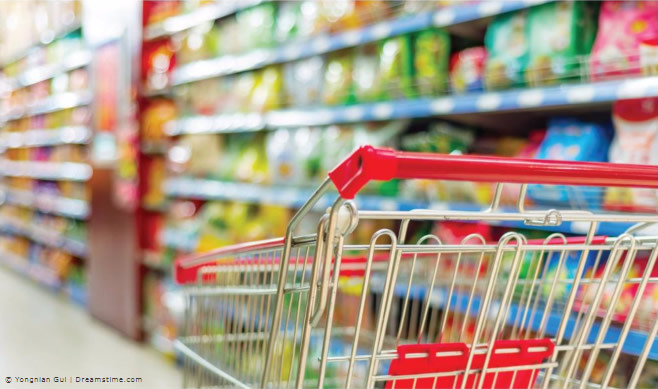 Funded primarily by ASHRAE (with ARRA funds), the purpose of the project was both to investigate the current state of ventilation and indoor air quality in retails stores, as well explore some approaches for improving ventilation in the retail sector. The project was a collaboration between myself and Dr. Jelena Srebric and large project teams of graduate students and researchers at both of our universities (the University of Texas at Austin and Penn State University). We also benefited from an active and helpful project monitoring subcommittee at ASHRAE. The basic approach was to conduct measurements at 14 stores, seven in each state. Several of those stores were visited multiple times per year (e.g., seasonally) and where possible, we tried to test the same brand of store in both locations to look at locational differences. Each testing period lasted about a work-week and consisted of a variety of indoor air quality and ventilation measurements, as well as surveys administered to the store employees to assess their perception of indoor air. We wanted to tell as complete a story on the indoor air quality and ventilation in the retail sector as possible. There were several high-level findings from this study. The first is that retail environments were generally very clean. For almost all pollutants that we measured, the concentrations were lower than you would find in a typical American residence. So, even though some pollutants (e.g., formaldehyde) were higher than some standards in some stores, this would also be true in a lot of homes. Not surprisingly, many pollutants were tied to specific sources: we saw high levels of formaldehyde in an office supply store that sold a lot of furniture, high levels of particulate matter in a store that was near some agricultural burning, etc. Although it is not of health consequence, we also saw very high levels of ethanol (e.g., PPM levels!) in stores that had baking going on – ethanol is a by-product from yeast and so this is not surprising (and not particularly relevant to IAQ concerns). 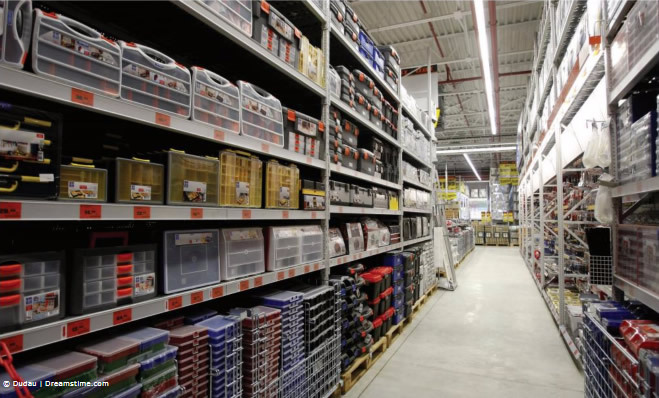 One of the interesting things about retail buildings, particularly big box stores, is that they have enormous volumes and thus any sources have the potential to be greatly diluted. Although the investigation was focused on ventilation, we found very few associations between ventilation and contaminant concentrations. This is not surprising for a few reasons including the fact that this was an observational study meaning that we didn’t hold all variables constant and just change the ventilation rate (this is, of course, very difficult to do in a real functioning building). So, for example, there might have been an association in our study with high contaminant concentrations and low ventilation rates, but these factors were not necessarily causally associated. One instance of this was in the office supply store mentioned above – it did have high formaldehyde concentrations and it had a low ventilation rate, but it also had a big source of formaldehyde (the furniture) in it. Another reason that we didn’t see the association we expected between ventilation and contaminant concentrations is that, like for other buildings, some of the indoor pollution came from outside. So in buildings that had high contaminant concentrations outside, they also had high concentrations inside. In fact, the only statistically significant association between a contaminant and ventilation rate that we found was for ozone: the higher the ventilation rate, the higher the indoor concentration of ozone. Having said that, like in other building types, ozone reacts with building materials and surfaces and so indoor ozone concentrations were overall quite small. In one pair of stores, we tested for two weeks. In the first week, we tested at the normal ventilation rate and in the second we increased the ventilation rate by about 50%. This change in ventilation generally led to lower contaminant concentrations, but the amount of reduction was often smaller than the 50% increase in ventilation rates. This is consistent with what has been reported in the literature for other building types and gets at some of complexities of using ventilation to control contaminants. In one of the stores, increasing the ventilation rate led to higher PM2.5 concentrations, largely because of higher outdoor concentrations of this contaminant in the local area around the store. Before I make some specific comments about filtration, there are a couple of other aspects about the retail sector that are worth mentioning. The first is that even though these stores often have a low occupant density when compared to other environments, there is a distinct impact of humans and their activities. Examples of this include, a clear signal from the human skin bacterial microbiome in the stores (about as strong as the signal from soil bacteria) and a clear indication in particle concentrations from employee activities like cleaning, cooking and floor burnishing. In the all of the grocery stores that we measured, there was a clear signal of all contaminants, but especially particles, at times of high occupancy (e.g., lunchtime and late afternoon). As with most issues of indoor air quality, we are the sources of a lot of indoor pollution, even in very large volume spaces. The second point is that much of my indoor air quality field experience comes from residential buildings. I was expecting to see big differences in HVAC system design and operation. Instead I saw a lot of commonalities: limited maintenance practices in many stores, relatively low-efficiency equipment (e.g., fans), failed sensors (e.g., the roof-top unit with four discarded CO2 sensors in it), and a general focus on other things besides energy and indoor air quality. I got an early education in this in the first store that we tested when I called the operations center for the chain when were leaving the store to let them know that we were finished and I mentioned that there was standing water in the bottom of a couple of the rooftop units. Their response: “No problem, the maintenance crews will see that when they visit to change filters in three months.” The under-prioritization of maintenance had significant energy consequences. Although almost all of our stores had variable frequency drives (VFDs) on the fans in rooftop units, very few were actually used to control fan speed. Instead, they were used to set fan flows for balancing and then used as single/multi-speed fans. The reason that I was given for this was that optimizing VFD performance requires maintenance and thus was not typically done. Even though the stores were overall quite clean, particulate matter was the pollutant with the largest amount of health concern. Given the energy cost of ventilation, it would seem that filtration would be an obvious method for stores to consider for reducing store operating expenses. Almost all stores had low-mid efficiency filters (MERV 6-8 filters were common) suggesting that there is room for improvement. To explore the energy consequences of filters we did some targeted testing in several rooftop units where we explored the impact of higher efficiency and higher pressure drop filters. Because the fans in many roof top units are not very efficient and because most of the units were not using their VFDs, we saw similar findings to studies in residential buildings. Mainly, a higher pressure drop filter reduced flow, reduced fan energy, but also led to increased system runtime. The overall finding was that there was a relatively small energy penalty for a relatively large indoor air quality benefit when using higher efficiency filters. We did some energy and IAQ modeling to show the impact of different ventilation strategies as well as higher efficiency filters. In general, filtration was a more energy-efficient way of reducing particle concentrations indoors, although stores located in mild climates with generally good ambient air quality often benefit substantially (in both energy and indoor air quality) from economizer use. Even if better filters make sense for many stores, there is an open question about whether filters can be installed and maintained properly to realize the benefit. We saw similar themes with filters as we saw in other parts of the project. One new furniture store had a rooftop unit that served the stockroom area that couldn’t be accessed because the roof parapet prevented the access door from opening. This meant that the filter couldn’t be changed and thus the filter was almost completely plugged leading to airflow and comfort issues. One of the major findings from the study was that, for the stores tested, generally increasing ventilation would reduce concentrations of some important contaminants (e.g., PM2.5, formaldehyde), but not in a particularly energy-efficient manner. However, there is an enormous opportunity for balancing energy use and indoor air quality in stores including better source control, managing ventilation flows with sensors (pollutant-controlled ventilation), high-efficiency filtration, and better operations and maintenance practices. Of course, these are the same practices that lead to better indoor air quality in most buildings, the difference for retail buildings is that the large volumes combined with over-ventilation in some stores suggest substantial opportunities for energy savings.